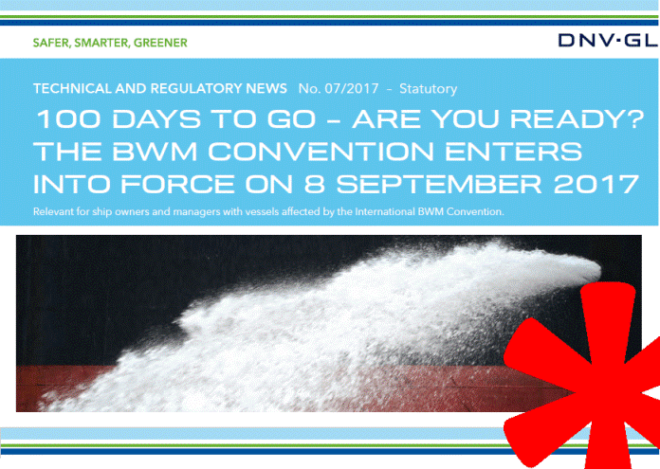 With the deadline getting closer, DNV GL wants to remind you that every ship affected by the BWM Convention must have an International Ballast Water Management Certificate. And, to avoid a last-minute rush: the sooner the better. 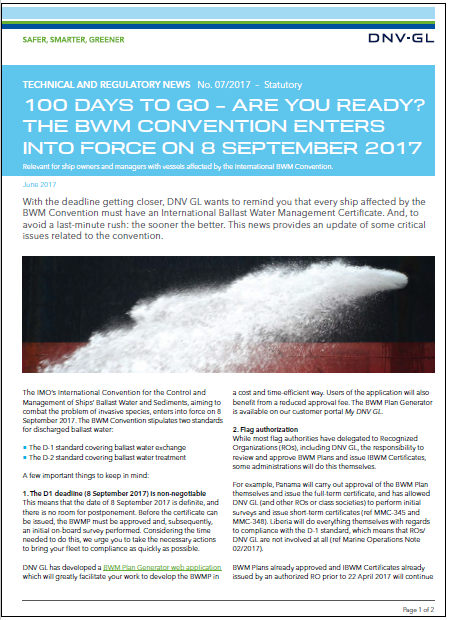 This news provides an update of some critical issues related to the convention.